← Spend your Easter holidays learning Spanish at Escuela Delengua! At Escuela Delengua, in addition to offering Spanish language course, we also offer specific courses where you can learn the correct terminology and information for either law, medicine, tourism or business. This is a fantastic option if you are studying one of those subjects and are interested in learning how it works in Spanish, or if you are simply just interested in these specific fields! All four of these courses are offered in addition to the intensive Spanish course which is 20 classes per week, usually in the morning. Legal Spanish: This course aims to teach you about specific terminology regarding law. You will also learn how to read and understand legal documents, which always varies from country to country. Therefore it is very interesting to learn how law works in Spain, compared to your own country. Medical Spanish: This specific type of course is perfect for you if you´re working in the health sector or are simply interested in improving your Spanish in terms of medical terminology and how the health system in Spain works. During your time you will also have the opportunity to visit different health centres to see how they work. Another possibility we offer, is the preparation for the Chamber of Commerce examination where you will be able to obtain the certificate of Medical Spanish. Spanish for Tourism: Are you interested in learning about communication and dealing with practical situations in the world of tourism? Then this type of course is ideal for you! The types of tourism topics that we will cover are: hotels, travel agents as well as transports. You will also have the opportunity to visit a type of hotel or business in the tourism sector! Spanish for Business: The final type of specific course we offer is Spanish for Business, where you will have the chance to learn about Spanish companies and the Spanish and international market. This type of Spanish course is of specific interest to you if you are a business or economics student or work in the business sector, and are curious to find out how business relations differ between your country and Spain. 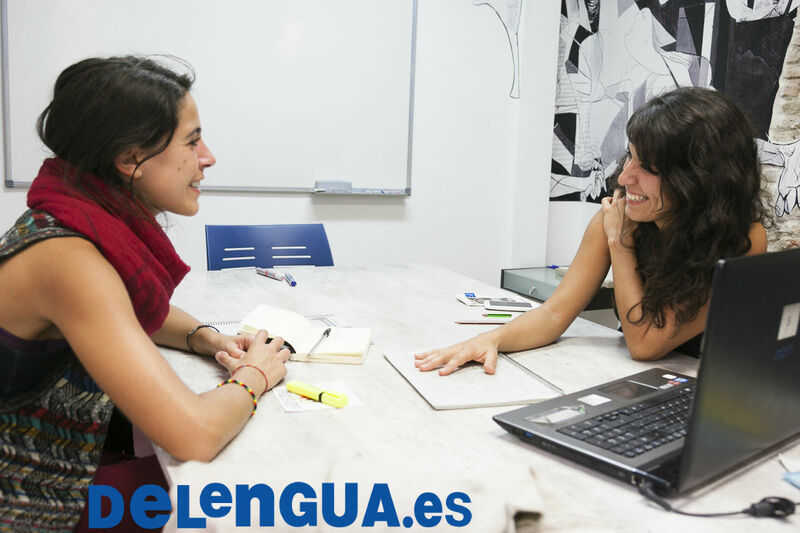 Come to Delengua and get involved with our specific Spanish courses which will challenge you to open your mind to the different ways you can learn Spanish!